The whole population of Puerto Rico (and Dominica) are without power. Everyone is relying on generators to provide power ; power for lights, power for hospitals, power to cool food, power to chill medicine, and power to provide clean water. Our team will give away free fuel to agencies, first responders, police, fire departments and individuals most severely affected by Hurricane Maria to run generators as well as run vehicles for transport of food, water and emergency care. Fuel Relief Fund has the contacts and the expertise to solve fuel problems. We will obtain fuel at the closest source at a reasonable cost. 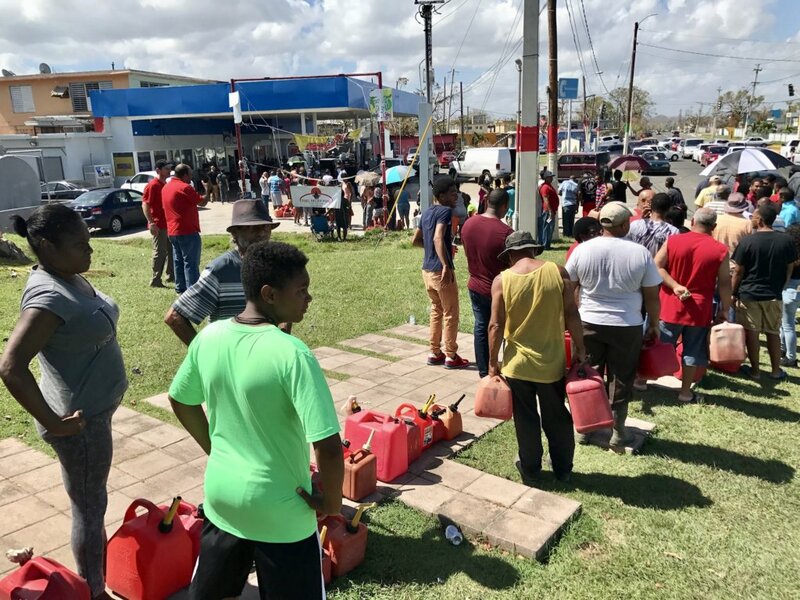 We then arrange transportation and distribution of this fuel to the areas most affected by this devastating hurricane where we give it away for free so residents can survive. Fuel Relief Fund will use in-country resources and volunteers to accomplish this mission. Fuel is essential for immediate disaster relief to minimize loss of life and suffering. By providing free fuel for emergency personnel and for generators we will affect the lives of at least tens of thousands of people in dire need. In this manner we can help families and communities to survive and to rebuild.